Thread: Sir Bobby Robson dies aged 76. 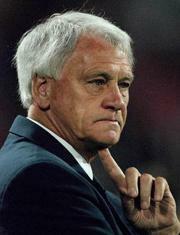 Former England manager Sir Bobby Robson died on Friday at the age of 76. Robson had been fighting cancer for a number of years. He played for Fulham and West Brom during the 1950s and 1960s, and later went on to manage Fulham, Ipswich, PSV, Sporting Lisbon, Porto, Barcelona and the club he supported as a boy, Newcastle. A sad day for football. 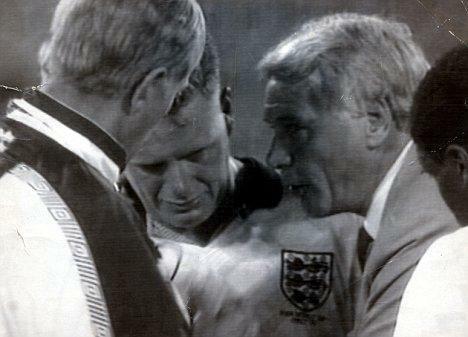 Sir Bobby was by all accounts an absolute gem of a person. ^ Yes, a genuine gem! Really loved him. everyone did. He looked like he was struggling with his health while in his last tenure at Newcastle, but kept an upright chin. Lovely bloke. RIP Dear Bobby , Great man! Won't forget the 1990 World Cup..Best sporting event I've ever seen. My fondest memory of Bobby is watching him describing a free kick in a post-match press conference by standing up & going through the motions of taking the free kick himself, with all the energy & enthusiasm of an England under-21! A great bloke, a genuine character & will be missed.